Iowa health officials reported Friday the 5th imported Zika virus infection of the year in a traveler to Central America. The patient is a non-pregnant, middle-aged woman. The first travel associated Zika case in Iowa was reported on Feb. 19. Four of the five cases reported were non-pregnant females. Nationally, the Centers for Disease Control and Prevention (CDC) has received reports on 426 travel associated Zika cases in 43 states and the District of Columbia. Of the 426 cases, 36 have been reported in pregnant women, eight were classified as sexually transmitted and one case of Guillain-Barré syndrome has been reported. The mosquitoes that are transmitting Zika virus in other areas of the world are not established in Iowa, so the risk to Iowans occurs when they travel to Zika-affected areas. About 20 percent of people infected with Zika virus will become ill. The most common symptoms of Zika are fever, rash, joint pain, or conjunctivitis (red eyes). Other common symptoms include muscle pain and headache. 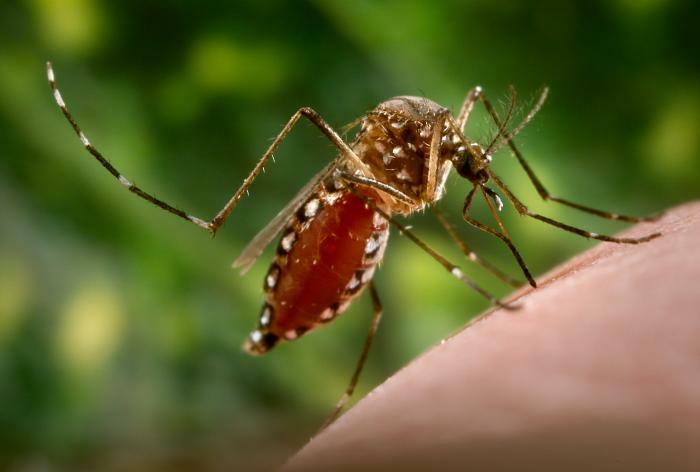 While illness is usually mild and severe disease requiring hospitalization is uncommon, there is a possible link between Zika virus infection in pregnant women and subsequent birth defects. It is recommended that women who are pregnant (in any trimester) consider postponing travel to any area where Zika virus transmission is ongoing. If you must travel to one of these areas, talk to your doctor first and strictly follow steps to prevent mosquito bites during your trip. Women who are trying to become pregnant should talk to their doctor about their plans to become pregnant and the risk of Zika virus infection. Strictly follow steps to prevent mosquito bites during your trip. All other travelers should strictly follow steps to prevent mosquito bites. CDC has issued Level 2 Alerts to Zika-affected areas advising travelers to take measures to prevent mosquito bites.